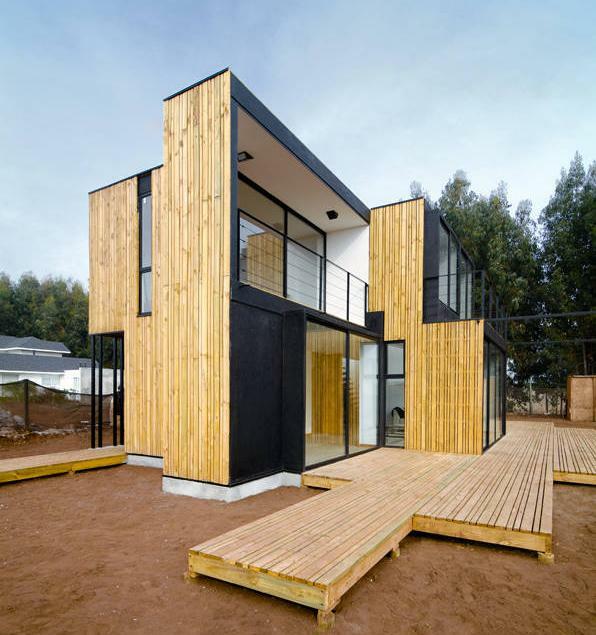 Built with Structural Insulated Panels (SIP), this prefab SIP panel house is conceived as an attempt to achieve a maximum optimization of dimensional and structural qualities of this construction material. This modular house was built in 10 days with 40 split-level panels (21 cm x 488 cm x 122 cm) and 71 wall panels (11.4 cm x 244 cm x 122 cm). The SIP panels exposed on the facade are fashioned as terraces on the third and second floors.